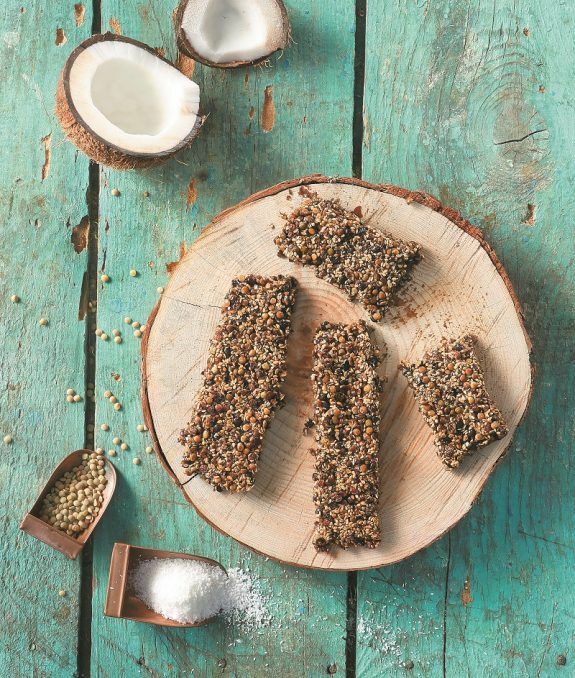 These energy bars are simple and delicious! The perfect healthy snack after a tiring day at the office or the gym. In a deep frying pan with heavy bottom add grape molasses and heat on low heat for 1 minute. Stir in remaining ingredients for 5 minutes or until ingredients combine well and mixture is semi-hard. Remove pan from heat. Empty onto a baking pan wet with a splash of water or rose water. Flatten with the back of a wet spatula to avoid sticking – 1 cm thickness is fine. When half cooled, cut into bars or desired shapes, using a wet sharp knife.